Heat oven to 350°F. Spread coconut onto bottom of shallow pan. Bake 7 to 10 min. or until lightly browned, stirring frequently. 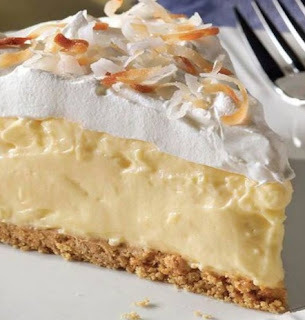 Trim 40 calories and 5g of fat, including 4g of sat fat, per serving by preparing with fat-free milk, COOL WHIP LITE Whipped Topping and a ready-to-use reduced-fat graham cracker crumb crust.